Items marked as “ADD-ON” options incur no additional shipping cost, but will NOT ship by themselves. 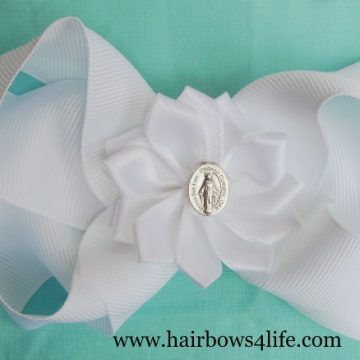 If you have placed an order for an ADD-ON ITEM without ordering a rosary, your order will be canceled and your payment will be refunded. In 2015, Nick purchased a ring to propose to his girlfriend, Elizabeth. But he knew a ring wasn’t enough–he had to have something even more personal, authentic, and significant than that. So, he decided to make her a rosary. She absolutely loved it–and they married on January 9th, 2016. While planning out their wedding, they decided to continue making rosaries together as a way to further encourage prayer within their relationship. They see the Armory as an opportunity to reach even more people through prayer and to participate in their own way in the mission of winning hearts for Christ and His Church. 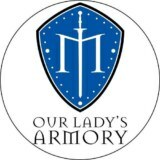 Over the last 3 years, Our Lady’s Armory has grown from a tiny selection of chain-link rosaries to over 4 dozen unique chain-link, paracord, and ball-chain rosaries, chainmail scrubbers, cufflinks, and pet collars, with even more new products planned for 2018. Please feel free to contact Nick if you’d like to talk about a new design; he’d love to help make your vision a reality! 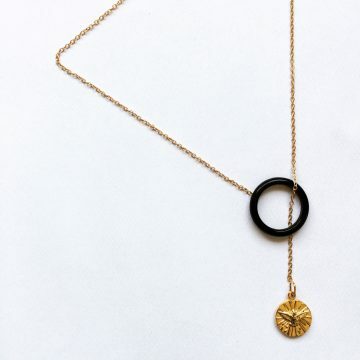 The Armory is built on the belief that beauty and integrity are two ways of coming to know God more intimately, so each item is built with pride and the hope that it will help you grow in your faith. 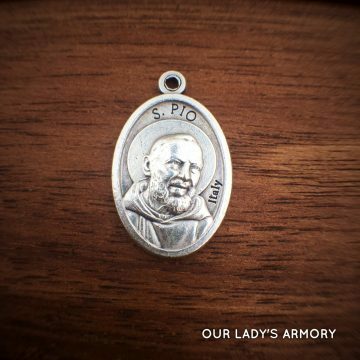 All our rosaries are guaranteed for a lifetime of normal prayer. 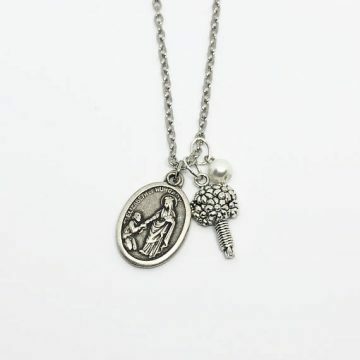 Should your rosary come apart, we can either offer simple instructions for rejoining the links, or we can process repairs ourselves. 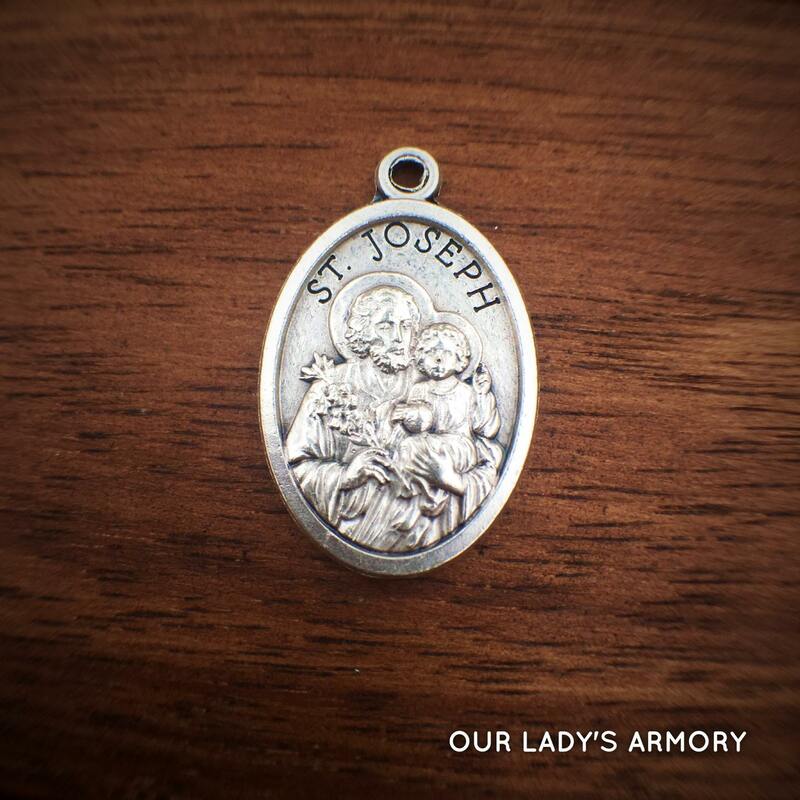 Domestic customers will be responsible for a fee of $7, which will cover shipment of the rosary both ways and any simple repairs that need done. International repairs will incur an additional fee for shipping. In the event of broken or missing parts, the customer will be responsible for the cost of those parts.